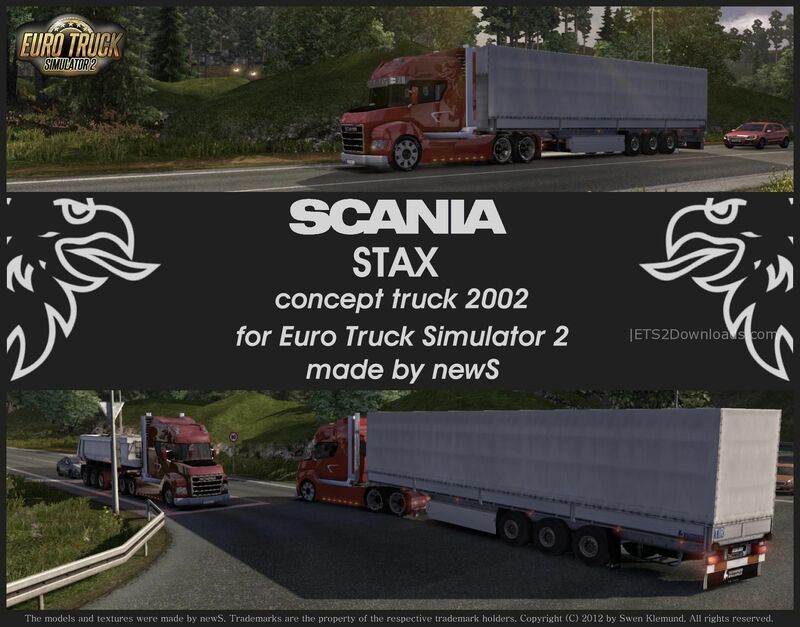 Scania STAX is a fully standalone trucks, doesnt replace anything, which is designed based on concept truck 2002. Update v2.31 13 January 2018: change the collions box. No more damage at some trailers.